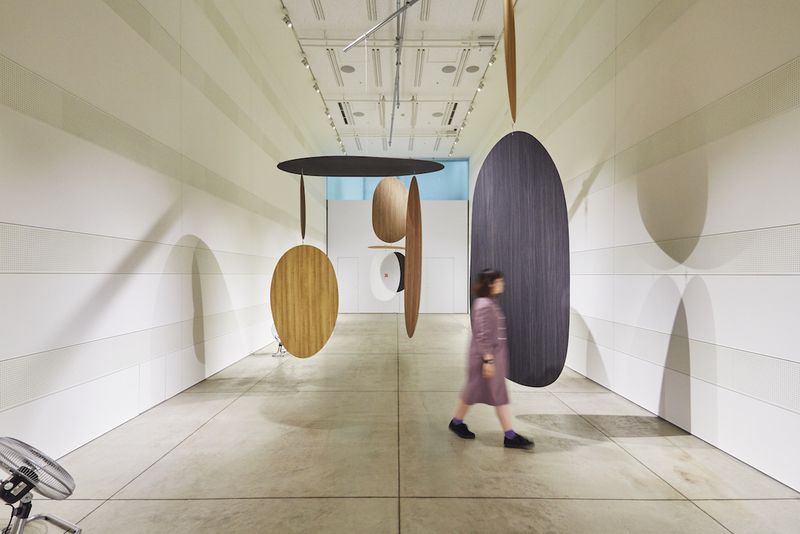 We Schemata Architects have loved each material–– be it plywood or plaster board––and given it our full attention to try to really understand its nature. So, when we got a request to design an installation using 3M™ DI-NOC™ Architectural Finishes, we felt it was rather ironic at first. 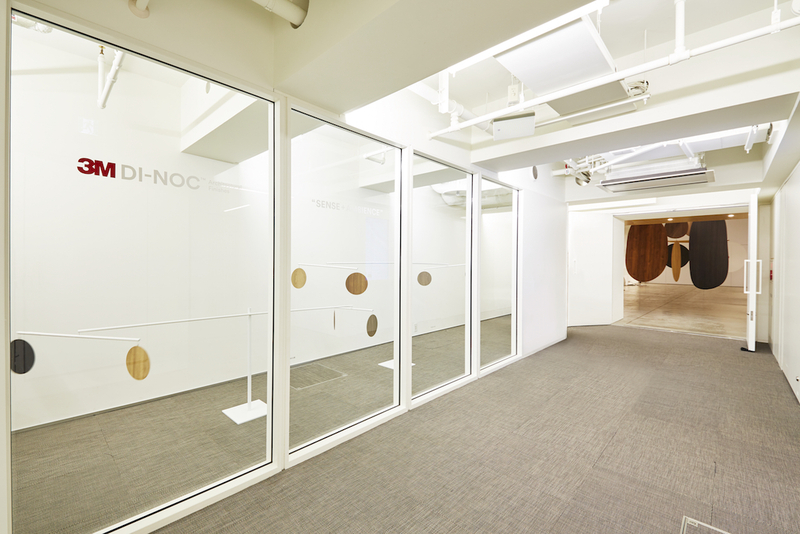 As we studied the material closely and try to understand its nature, we found that one of the most remarkable characteristics of DI-NOC film is unique contradiction between its extremely realistic expression of material texture with a sense of thickness and its surprising thinness. Then, we decided to highlight the characteristics in our installation. 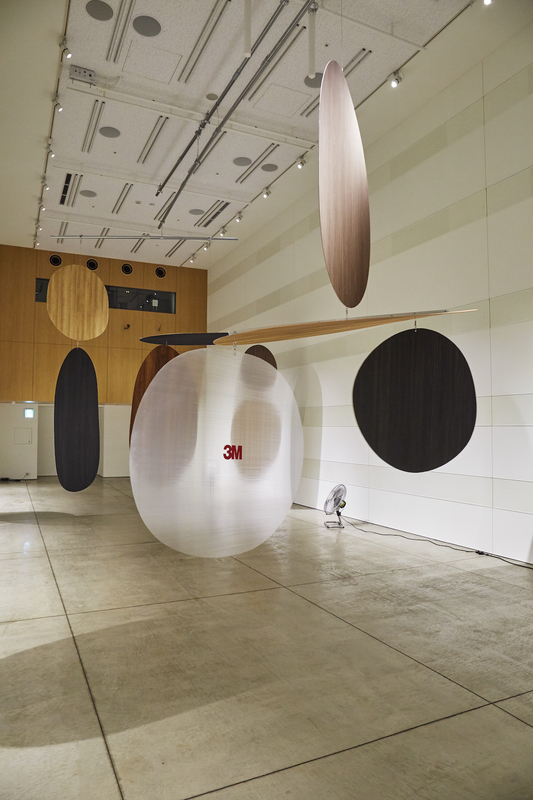 We made extra-large mobiles with suspended extra-large leaf-like pieces made of DI-NOC film. 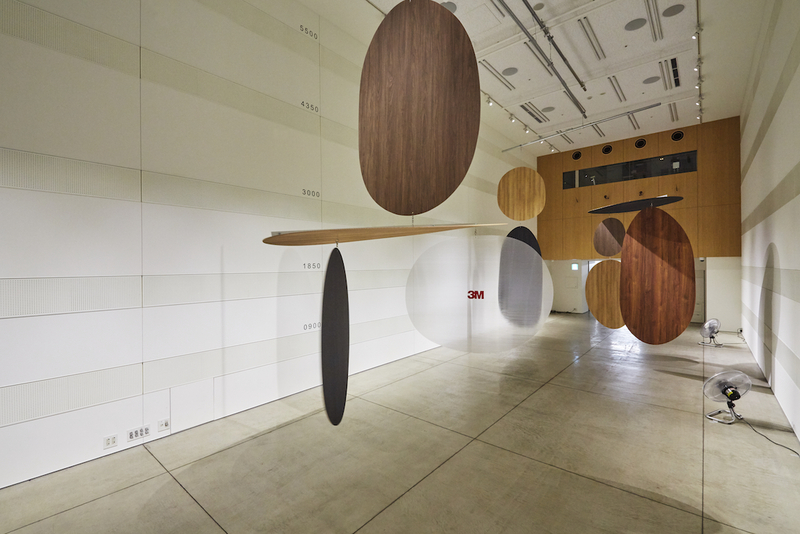 Viewers see unrealistically large wood grain patterns on the surface from the front and are surprised to find its extreme thinness when the pieces rotate. 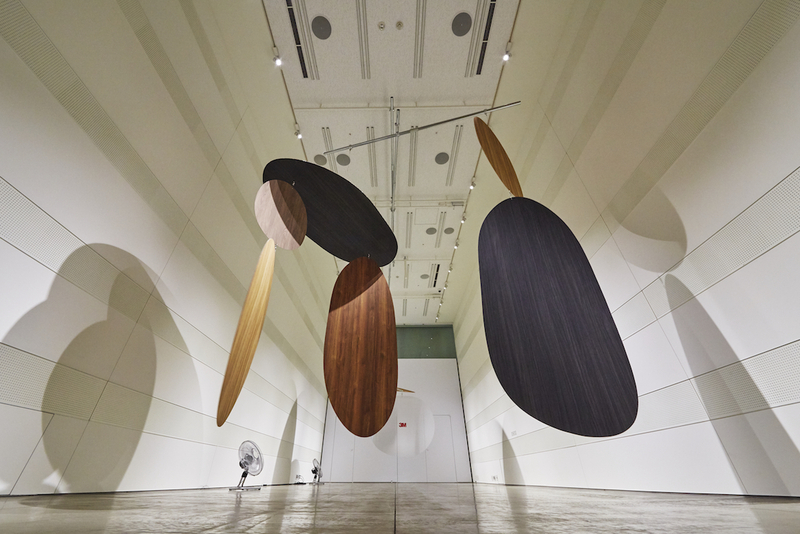 To emphasize lightness of the material, we installed fans to keep mobiles constantly moving and rotating. 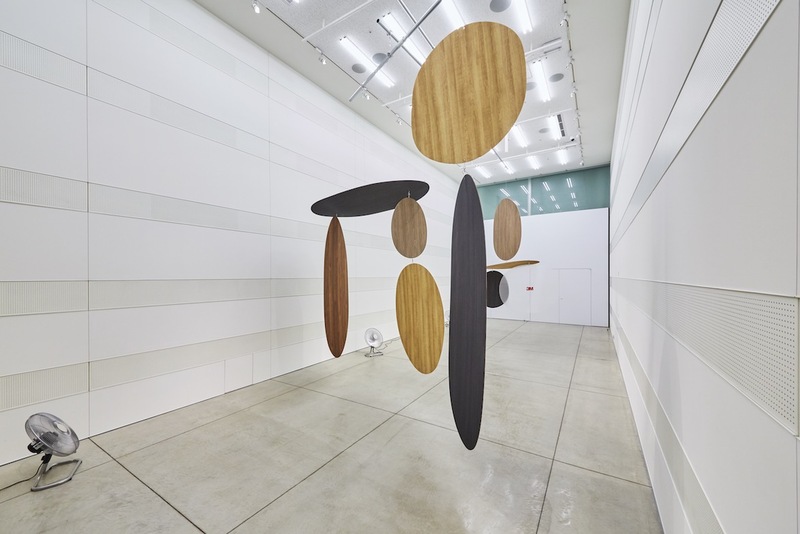 Although these mobiles may seem simple, they were assembled with an extremely high degree of precision to maintain the delicate balance. We had to carefully control the position of the center of gravity within the tolerance range of a few millimeters, or the mobiles would otherwise lose balance and drop to the floor any moment.